This Memorial Day weekend, amid barbeques and picnics, many Americans will make time to remember the troops that have died in the twelve years of war in Afghanistan and Iraq. But the number, 6,521, tells only part of the price our troops have paid. The longest wars in U.S. history have actually claimed far fewer American lives than our other extended foreign wars in the past century (WWI: 116,516; WWII: 405,399; Korea: 36,574; and Vietnam: 58,220). It’s in the living that we see the full catastrophic toll of our recent wars on our service men and women. Over 900,000 of the 1.6 million veterans of these wars are patients in the VA system, and over 800,000 have applied for disability benefits. The dead are at peace, we hope, but the living casualties still suffer the wounds of war. Traumatic brain injury, post traumatic stress disorder, amputations, burns and facial disfiguration -— all these we have seen on our TV screens, however fleetingly. But another signature injury that has scrawled its misery across veterans’ lives remains largely unknown. It goes by different names — Burn Pit disease, Gulf War 2 Syndrome, Iraq and Afghanistan War Lung Injury, Post-Deployment Illness — but what veterans and contract workers who have it, and the small cadre of physician-scientists dedicated to understanding and treating it, agree on is that, like Gulf War Illness, its cause is wartime toxic exposure. An inhalational injury, it attacks the airways and lungs first, and then can wound most every other organ and system. “Burn pits were constant,” Paul Rieckhoff, director of Iraq and Afghanistan Veterans of America, said, and most everyone was exposed to them “sometime during their deployment.” In 2009, the military admitted that as many as 360,000 veterans may have suffered traumatic brain injury, an, in turn, established programs for research and treatment. But about the systemic disease of our recent wars, the brass is admitting — and doing — almost nothing. Thousands of sick veterans trace their illness to the burn pits, which the military as well as their contractors KBR and Halliburton used — instead of closed incinerators — to process garbage on US bases in Afghanistan and Iraq. Acres wide and hundreds of feet deep, the open furnaces burned day and night, morphing solid human waste, body parts, blood specimens, plastic water bottles, Styrofoam plates, Humvees, computers and more into black fumes and ash that covered the sky and ground. In the earliest grades, young children learn that solids and liquids when heated at high temperatures becomes gases, and that there are certain things we do not burn in the open air because they become poison gases, which can make us sick or dead. The torments endured by Captain LeRoy Torres, a Texas state trooper and Army Reservist, are alarming but not uncommon. 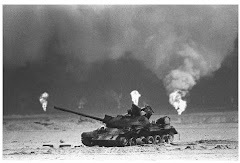 Stationed at Balad Air Base, the biggest base with the baddest pit, LeRoy immediately felt sick, but the “black goop” that he and the soldiers around him were hacking up was just a sign of “Iraq Crud,” caused by a passing irritation to desert air, commanders said. But back home, LeRoy coughed and wheezed constantly and unable to work or walk more than a few feet, he went from doctor to doctor, from local facilities to the VA War Disease Center in DC. Respiratory infection, mild asthma maybe, the doctors said, as their CT scans and spirometry showed no pathology and they were unaware of war-zone associated lung disease. Finally, a lung biopsy diagnosed constrictive bronchiolitis, a debilitating and often degenerative lung disease associated with inhaling industrial chemicals. Today, LeRoy has spleen cysts and a brain lesion, suffers excruciating headaches and is bed-bound most days. A registry that his wife, Rosie, founded to document and help the many troops suffering profound illness they trace to the burn pits now has thousands of names, though sadly some on the list have died, a couple from cancer. As early as 2006, Lt. Col. Darrin Curtis, a bioenvironmental flight commander at Balad, warned of “an acute health hazard” of exposure to toxins and “chronic” health hazards from the smoke of the base pit. In 2007 Army and Air Force health teams found dioxin at 51 times the EPA’s acceptable levels and cancer risk from exposure to dioxins at eight times acceptable levels for people at the base for more than a year. They also found particulate matter at 50 times the acceptable levels — a high toxicity associated with premature death and serious disease of most every organ according to Dr. Anthony Szema, an allergist and pulmonologist at Stony Brook University School of Medicine and pioneer in the field of post-deployment lung disease. “It’s clear that the burn pits spewed health-threatening toxins into the air,” Dr. Szema said. “Burning plastic, styrofoam, and jet fuel, widely used as a pit fire accelerant, yields known carcinogens. Burning medical waste and body parts and solid waste in the open air can disperse dangerous microbes. And burning computers and other electronics yields metal particulate matter, from aluminum to lead to titanium.” Dr. Szema and his colleagues, who are studying biopsied lung tissue of post-deployment pulmonary patients, have identified what they’re calling “titanium lung.” In the condition, lung tissue is riddled with titanium in a form (bound to iron in a fixed ratio not found in nature) thought to be from toxic exposures such as those pluming from burn pits. The pit fumes, though a prime and powerful offender on their own, appear to often operate with accomplices — the distinctly fine sand of Iraq and Afghanistan and the extreme winds and sandstorms brought on by climate change. “A working theory is that extreme winds disperse fumes and ash from the base to the outlying desert,” Dr. Szema said. “The toxins attach to and infiltrate the fine sand, which barreling tanks and more winds and sandstorms further disperse over great distances, in the form of sand dust.” And the research is bearing this out. Dr. Szema’s team has exposed mice to Iraq sand dust and found “titanium lung” along with reduced immune function. Captain Mark Lyles, a scientist at the U.S. Naval War College in Newport, R.I., has studied the sand of the region and found viruses, funghi, bacteria and heavy metals linked to a host of serious and potentially deadly diseases. Dr. Robert Miller at Vanderbilt, who performed LeRoy Torres’s biopsy, has found metal particulates in the scarred tissue of veterans with the same severe constrictive bronchiolitis LeRoy suffers. As Dr. Miller and his colleagues reported in the New England Journal of Medicine, the vast majority of the veterans whose lungs they’ve biopsied have the disabling disease. The VA and DoD have stopped sending pulmonary patients to Dr. Miller for lung biopsies and its own facilities do not perform them, viewing them as an undue expense of taxpayer money for a what will prove a largely minor and temporary condition. Powerful and deceitful governmental bureaucracies vs sick troops and veterans — it’s a repeated plot in the tragic drama of war. In 2008, Michael Kilpatrick MD, the Deputy Director of the Office of the Deputy Assistant Secretary of Defense for Force Health Protection and Readiness said that the military had done extensive sampling of the air in Balad but had “not identified anything, where there are troops, where it would have been hazardous to their health.” And as Deputy Director of the Office of the Special Assistant for Gulf War Illness, Dr. Kilpatrick similarly denied obvious scientific findings. Steve Robinson of the National Gulf War Resource Center charges that during Dr. Kilpatrick’s five years in charge of oversight of research and treatment for Gulf War Illness, the office spent $25 million but failed to even issue research reports, let alone develop treatment programs. According the General Accounting Office, Kilpatrick’s fixed position that psychological stress alone could explain Gulf War Illness discouraged scientists from even applying for research funds, and thwarted progress. Pioneering scientists in the field, like epidemiologist Dr. Robert Haley at Southwestern Texas University, depended on private funding from millionaire Ross Perot for his investigations of the biological origins of Gulf War Illness, which as early as 1998 had suggested that brain injury from wartime toxins was the source of the problem. With only occasional breaks, the VA and DoD have evaded responsibility for medically ill veterans from Desert Storm. In 2008, after extensive re-examination of scientific investigation, a group of high-level scientists making up the congressionally-mandated Research Advisory Committee (RAC) for Gulf War Illness concluded that the cause of the illness plaguing more than 200,000 veterans was not psychological but physical. 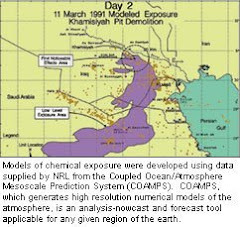 While depleted uranium was not ruled out, neurotoxins that the military had released through experimental anti-nerve gas pills, as well as pesticides and sarin gas from bombed Iraqi munitions facilities were the exposures most conclusively linked to the multi-symptom, multi-system conditions of Gulf War Illness. The RAC, headed by eminent Boston University neruoscientist Dr. Roberta White, urged quick action on the VA’s part not only because ill Gulf War veterans had been neglected for years but because veterans of the new wars were returning reporting similar symptoms. This January, the RAC charged the VA with still promulgating “fictions” that Gulf War Illness’s causes were unknown and could be psychosomatic despite the RAC’s clear determinations five years earlier. President Obama promised that the burn pits of Iraq and Afghanistan will not be America’s new Agent Orange. But neither the President nor Congress has put forth any comprehensive treatment or research programs for victims of burn pits and other war-zone exposures. In large part through Rosie Torres’s lobbying, the VA must now establish a national burn pit registry — just a start for gathering data. But there is nothing to mandate benefits or treatment for veterans who register. In addition, Rep. Timothy Bishop (D-NY) is currently developing legislation that would establish centers of excellence for treating burn pit injuries and diseases, like those established in 2011 for veterans with traumatic brain injury. Hopefully, Congress will do the right thing and found and fund such centers, where veterans with profound post-deployment disease can benefit from state-of-the-art research and therapies—without bureaucrats’ obstruction. But still more is needed. Compensation, of course, as well as full and permanent benefits for those afflicted with systemic post-deployment illness, instead of the need to file claims symptom-by-symptom until the veteran gives up or dies. And certainly an investigation into the relationshipbetween PTSD and toxic exposures (which are linked to neurological damage and psychiatric symptoms) But none of these can be accomplished without resecting and disinfecting a morally diseased bureaucracy. On Memorial Day and every day, Americans have a right to know about the environmental and health disasters our government and its contractors inflicted on our own service men and women and why, and the right to be sure it will never happen again. Nora Eisenberg’s articles, interviews, and fiction have appeared in the Village Voice, Tikkun, theLos Angeles Times, The Nation, The Guardian and Alternet, among others. Her novels include The War at Home,a Washington Post “Rave Book of the Year” in 2002; Just the Way You Want Me, theForeword Magazine’s Fiction Book of the Year 2004; and When You Come Home (Curbstone, 2009), a Grubb Street Fiction Prize finalist. Eisenberg, who holds a PhD in English and Comparative Literature from Columbia University, is academic director of the Faculty Publications Program at the City University of New York.